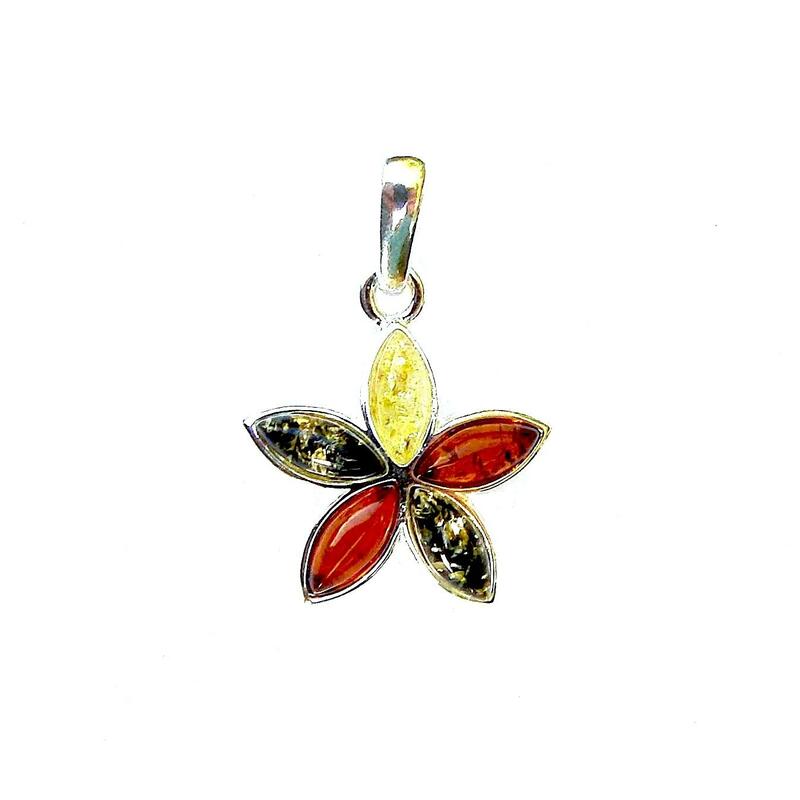 An Absolutely Beautiful Mixed Amber Flower Pendant. This Beautiful Mixed Amber Flower Pendant has a Lovely 8mm x 3mm Marquise Amber Cabochons in mixed colours as the petals set in a Pretty Sterling Silver Flower Surround. It is 2 1/2cm long including its bale approx 1 3/4cm wide Chains, also available. Nice silver hand made Rainbow Moonstone Celtic Ring. This Rainbow Moonstone Celtic Ring has a Pretty 6 x 9mm oval cabochon in the center & on each side is a celtic design which forms a lovely silver surround for the crystal. It is a heavier weight design which is a very good seller and comes in sizes: Small (Size 6 / L/M) Medium (Size 7 / N/O) Large (Size 8 / P/Q) & X Large (Size 9 / R/S) BEST SELLER! Nice hand made silver Turquoise Triple Drop Ring. This Turquoise Triple Drop Ring has 3 lovely cabochons. In the center is a large 10 x 8 mm oval with a 4mm round above & below it. It also has three silver bands one going to the left side of the top crystal, one going to the right of the last crystal & one which meets both sides of the center crystal, giving a lovely off set look which looks stunning when worn. It comes in sizes: Small (Size 6 / L/M) Medium (Size 7 / N/O) Large (Size 8 / P/Q) & X Large (Size 9 / R/S) BEST SELLER! Nice silver hand made Turquoise Oval Ring. This Turquoise Oval Ring has a Pretty 12mm x 14mm oval cabochon which is set in a lovely silver surround which really shows off the beauty of the crystal. It is a reasonably large yet light weight and it comes in sizes: Small (Size 6 / L/M) Medium (Size 7 / N/O) Large (Size 8 / P/Q) & X Large (Size 9 / R/S) BEST SELLER! Nice silver hand made Blue Goldstone Celtic Ring. This Blue Goldstone Celtic Ring has a Pretty 6 x 9mm oval cabochon in the center & on either side is a celtic design which forms a lovely silver surround for the crystal. It is a heavier weight design which is a very good seller and comes in sizes: Small (Size 6 / L/M) Medium (Size 7 / N/O) Large (Size 8 / P/Q) & X Large (Size 9 / R/S) BEST SELLER! A Lovely Dainty Pentagram Necklace. This Dainty Pentagram Necklace is approx 1 1/4cm including Loop. It Comes complete with a pretty 18" cable chain.